Pilgrimage in Poland: Where Church and State walk Hand-in-Hand. Prologue: Eleven Illinois Soldiers/Airmen walked 360 kilometers over ten days from Warsaw, Poland to Czestochowa, Poland as participants in the Illinois National Guard State Partnership Program. The walk was the Polish Catholic pilgrimage to the Jasna Góra Monastery in Czestochowa, Poland where participants could view and pray before the world famous “Black Madonna” icon. This event was part of the Illinois National Guard State Partnership’s religious leader engagement program. Along with other specialties, the state Guard chaplaincy interfaces with their religious counterparts in their partner nations. In addition to establishing relationships, these events enhance mutual understanding; religiously, culturally, and operationally. CBAmerica endorsed chaplain, Dan Wilton, was selected to participate in this unusual event. After eight days of walking in the pilgrimage our group became well acquainted with the sound and sequence of Polish Catholic masses as well as their priest’s prayers and worship songs along the journey. It was all in some ways familiar and yet still very foreign. 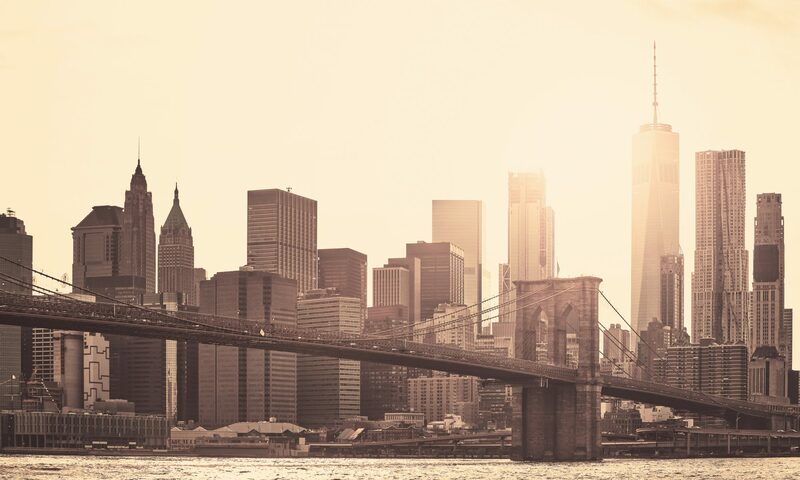 Even as a Christian, there were times I felt unable to connect with what was happening because of the language and cultural barriers. I could tell our US group longed for English conversations and many of us also longed for a Christian worship service that we could understand and be full participants in. 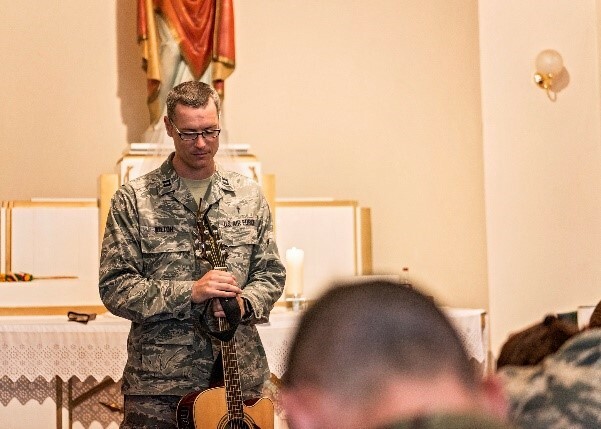 Each evening, the whole military camp gathered to sing praises, get instructions for the following day, and receive prayers and words of encouragement from the participating chaplains, all of whom besides me were Catholic. I had the opportunity to stand next to chaplains from Poland, Germany, Latvia, Lithuania, and Slovakia as we took turns reading prayers or saying blessings in our own languages for the weary pilgrims in our group. 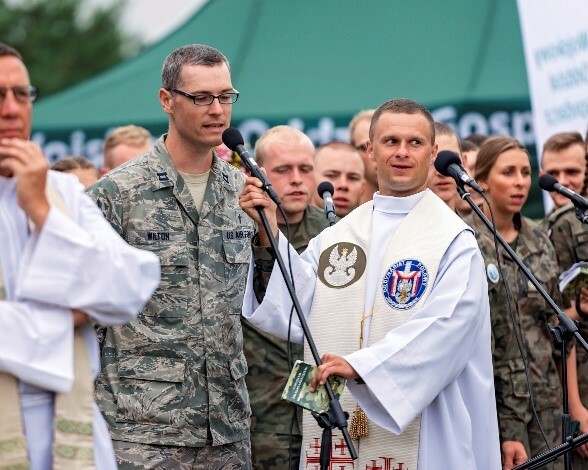 Throughout these times, the international chaplains and I would encourage each other in broken English or in understanding looks as we did our best to follow the lead of our steadfast Polish priests. Over the course of the walk, our team of Americans became very indebted to the kindness and care of our German counterparts. They had brought their own medic and physical therapist and were often in our tent caring for our blistered feet or hurting muscles. By day six or seven, I had talked with everyone in our US group about finding a time on Sunday where any who were interested could get together with me for a short Christian worship service in English. Because of our friendship with the Germans I extended the invitation to them as well. Sunday came and I had no real idea which rest break would work best for our English service. I assumed we would all observe the morning mass as we had all the days previous. We were in the town of Garnek, Poland and thousands of people were starting to gather in the city park for morning mass. It was then that I discovered that my German chaplain friend had a conversation with the other priests and had asked the leaders for our group to receive some accommodation in order to have our own Christian worship service in English. In a generous show of brotherhood and kindness one of the Polish priests told me in English “We are brothers. You have helped us. We can accommodate your service.” My German friend then led me into a side sanctuary of the Church of the Immaculate Conception of Virgin Mary, and with the help of his chaplain religious services kit, I prepared the room for a protestant church service. With a smile, he let me know it would be the first protestant service ever conducted in that Catholic church. While the Catholic mass was underway in the park, our group of Americans and Germans gathered in the side sanctuary of that church, and we sang some spiritual songs. We prayed. I preached from Psalm 29 and Luke 8:22-25 about God’s power over the storms in our life and the peace we can enjoy when we trust in Jesus. We ended our time with the Lord’s Supper and several stayed for a while to enjoy the quiet contemplation that room afforded us. The English service came at a good time for us all. I know it reinvigorated me to finish the pilgrimage strong, and I hope it had a similar impact upon the others present. When I was asked to travel to Poland for this pilgrimage I wasn’t sure what to expect. I’m a Baptist chaplain that can’t speak a lick of Polish, and I’m a slow walker to boot. 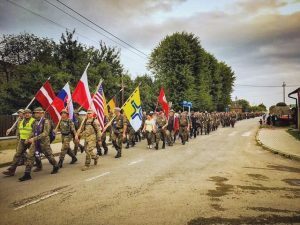 But there I was taking step after step across the Polish countryside with Polish and other NATO military members. I believe each member of our US group was impacted in some way by the generosity and kindness of the Polish people. I also believe we all took notice of how the Polish military exemplifies what a close partnership between church and state can look like. In Poland, nationalism and religion are not bad words or avoided conversation topics. They are celebrated as a gift from God. I am thankful to have experienced some of their rich heritage of faith and persevering pursuit of freedom. 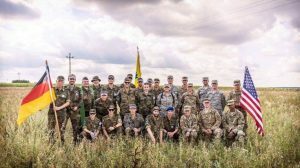 It was special to walk the pilgrimage with other Illinois Guardsmen. I hope our shared experience will make us better Americans for our state, our country, and our God. Postscript: Chaplain Wilton’s experience was unique, to say the least. The US Military often works jointly with other Allied Forces. 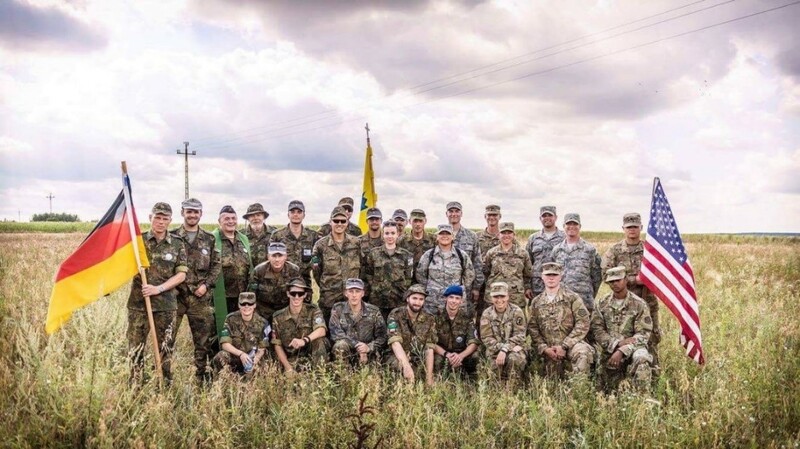 In those settings, it is common to interact and cooperate in military training and operations. 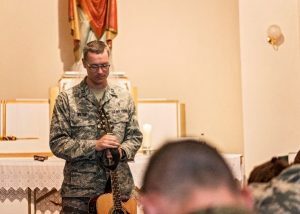 With the current shortage of Catholic priests, US military chaplains will often request support for their Catholic service members, including Mass, Reconciliation, etc. Participating in a 225-mile road march, is above-and-beyond the norm!